Haven’t all the breaking hearts at one point considered the existence of a parallel universe where things go right? We find consolation in the thought that somewhere else a grief-stricken chapter of our lives ends in rejoicing. There is balance, peace restored by our alter egos, all of whom are conveniently better versions of our selves. Wealthier, better looking, content, unbreakable. We seldom admit it in so few words, but we hate to be on the side of reality that loses. Perhaps it is a soothing balm for the sorrowful to imagine some other world where it all breaks even. We hope, even in the most trivial moments of anguish: it will all break even. I pause in that thought, remember what we often try to forget, that our honest world is profoundly broken. And isn’t that more important than a reality that exists only in hypothesis? We dare to dream of a place where our poor hearts are ever-mended, but today my heart is fixated on a different parallel reality, more real than any science fiction multiverse. In the world there are alternate versions of us that live a life of less. Sorry to disappoint, I write not on love or heartbreak, but on the daunting divide between rich and poor, wealthy and wanting, luxury and scarcity. This is the parallel reality. Recently I had the moving experience of walking through one of Manila’s poorest neighborhoods, the community world-famous for the tons of trash that created it, Smokey Mountain. The place is dense with people and activity. Under our feet the ground has been levelled to allow for housing to be built, but you don’t have too look far to see the still mountainous remnants of the significant waste, accumulated over decades. They form the facade that welcomes the locals to their homes. Every few streets or so sit fresh mounds of garbage waiting to be sorted, moved or stolen. Families sift and pore over the trash as I might nonchalantly sift and pore over a pile of my clothes ready for the wash.
Later, back at my apartment I tie up my supposed biodegradable garbage bag and painfully wonder whose hands will tear this bag open some days later, looking for something good to eat, sell or save. Out of my discarded mess, a family may build a moment of living. This is not news. It’s the way it’s been, the way it is. And yet today, I criticize it with fresh eyes and my heart breaks continuously for this reality that coexists with mine. We are not shocked it exists. We are shocked when it is front of us, when none of our comforts can conveniently tuck it away. I knew it was only a matter of time before the challenge knocked on my door. Friends, if you are able, do more than just throw a bucket of ice water on your head. Let this viral wave of social media activism deepen in significance and impact. Don’t get me wrong, I believe every effort counts no matter how small (I enjoyed this read: Think The ALS Ice Bucket Challenge Is Stupid? You’re Wrong.) But with every effort, give it your best shot. It’s not about the money, although money will help. And it shouldn’t be about the novelty of the challenge, the vanity of posting a video that features just you, or because you can’t help but get on the bandwagon or be dragged along by it. Read up on the disease. Strike up conversations about it beyond the comments that follow someone’s recent posting of their Ice Bucket Challenge video. Check out the research being done. Find out if there are people in your own circle of family, friends, friends of family, or family of friends that may be directly affected by ALS. There are real people hurting behind these headlines. There are real people hurting from ALS and other chronic or terminal illnesses. There are real people hurting in your immediate circle of family and friends. Look outside your circle of worries and acknowledge the battles that other people face. Remind yourself that everyone has a story that goes much deeper than a scratch at the surface – and each story is distinct, nuanced but also never possibly singular. We’ve all got hurdles. Thank you Gino Ong for nominating me for the #ALSIceBucketChallenge. I will be donating $10 to the ALS Association for their continued research. I would like to nominate Kenya Bryant, David Opoku, Rishi Mandhyan and Nina Skagerlind to take the challenge.You have 24 hours! I’ll donate another $10 for each of you that successfully completes the challenge! 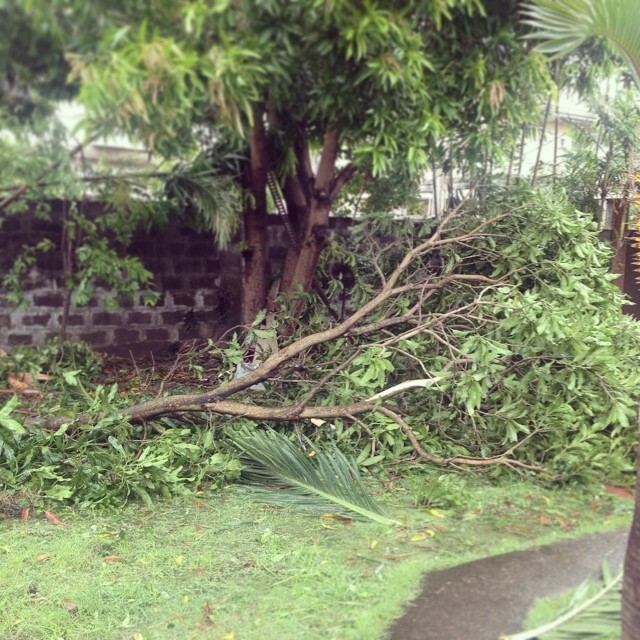 A crazy storm hit the Philippines last Wednesday morning. Unlike recent storms, rain was not the leading lady, and flooding not the looming horror. In its place, the strong winds that took the title role, shaking fear into the metro. Everyone in Metro Manila felt the storm, some more than others. It woke most of us from our sleep with whistling and howling. The power was out. Everything swayed and shook in the wind. From the window, I watched our trees in our yard dance and swing, still graceful in the violence of the wind. It seems everyone has lost a tree they know, or part of one at least. Either a tree in their front yard, one they know in their neighborhood, one on their path to work, or one from the house they grew up in. Some trees lost branches, or suffered irreparable fractures and splits at their trunk, or experienced complete uprooting from the ground. In addition to the lost trees – people have lost their roofs, ceilings, walls, windows, paint, gates, and fences. The busy cities also felt the disruption of black outs – for days straight, or in rotating breaks as managed by the local power provider. There are areas where power has not yet been restored. Still, this storm had winds only half as strong as the super typhoon Haiyan/Yolanda experienced by the Visayan regions in November last year. Over the past months, I’ve spent much time reflecting of falling and fallen trees. I remember riding around the different Yolanda-affected Visayan regions of Cebu, Roxas and Leyte; surveying the change in the lanscape, peppered with fallen trees. There is sadness and wonder. Now, my own surroundings in the city and home have altered. Everything storm-blown as well. 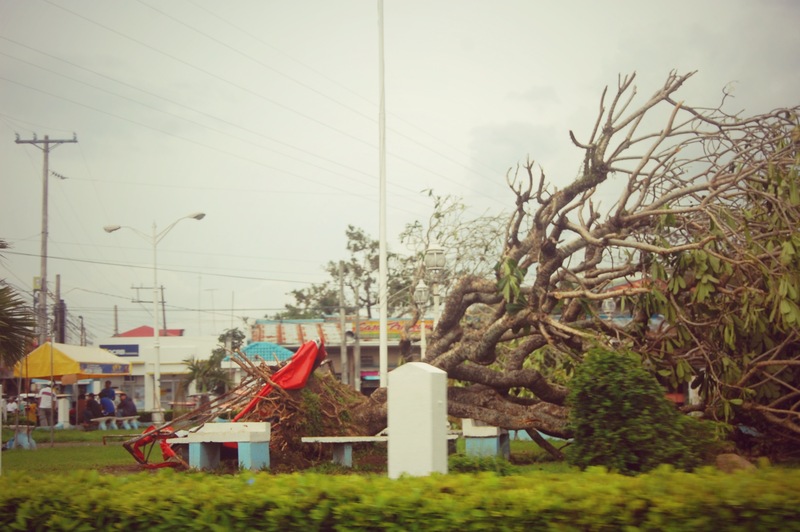 The photo above is a fallen tree at the center of a town in Laguna. Below is three-quarters of the beloved mango tree in our front yard. 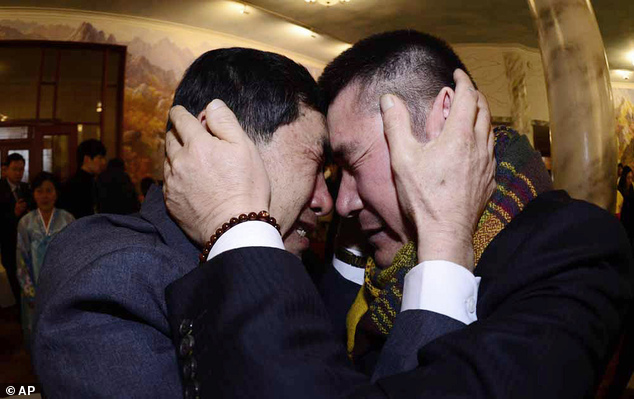 How many decades could you bear to wait, before seeing your brother again? 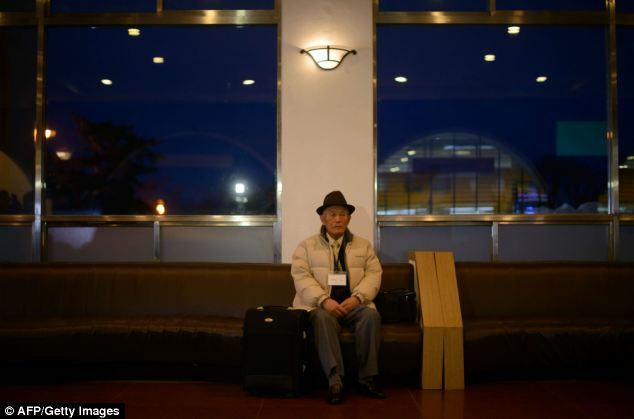 I’ve been following this story: the rare family reunions that some Koreans have waited over six decades for! Since the Korean War over sixty years ago, the border between North Korea and South Korea became more than just a line drawn in the earth. It became an impenetrable boundary, dividing families, casting a shadow on generations. 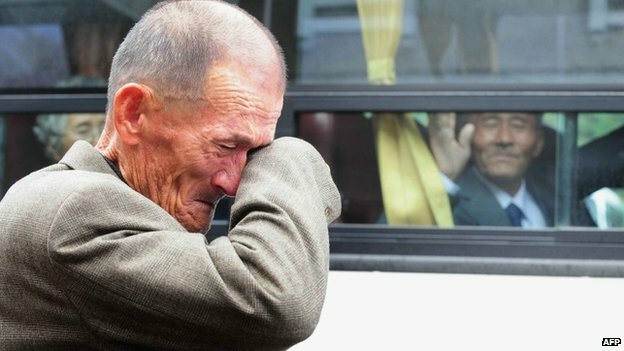 Some 72,000 South Koreans remain on the waiting list, hoping for a reunion with a brother, sister, cousin or child living in North Korea. About half are over the age of 80. In a society where we are bombarded with the double-edged power/curse of instant connectivity, it is both refreshing and heartbreaking to see the force of a human bond that transcends any technology invented for communication. The human bond to another, can endure 64 birthdays worth of separation with zero communication. No exchange of sight, touch, sound, or even written message. In fact, it can endure much longer. But I can hardly bear the thought of putting that to the test! The reunions are a rare occasion. The actual reunion between families lasts only hours! Only about a hundred relatives have been able to take part at a time. There is a lottery system in South Korea to determine who is invited, while in the North, people say that politics are involved. The most recent round of reunions concluded just yesterday, and they do not happen often enough. 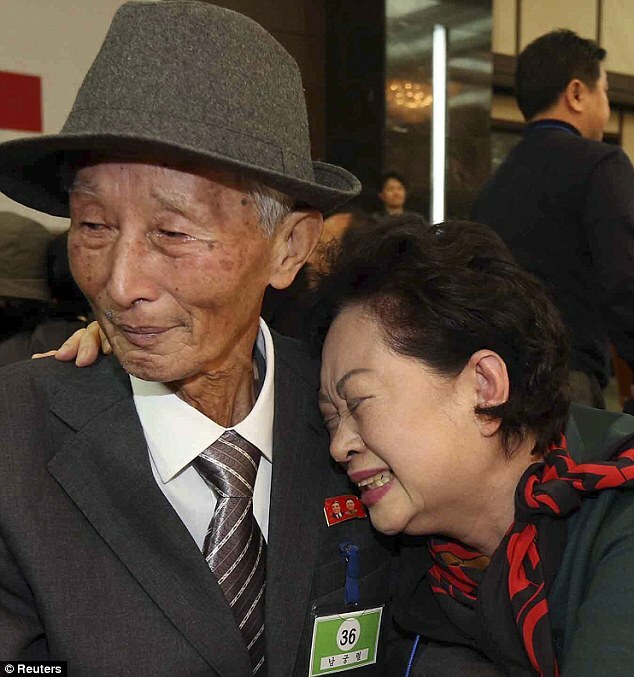 In the past, reunions were cancelled or heavily threatened months prior, when North Korea would disapprove of something going in the South. People must also undergo medical check-ups before being cleared to see their relatives. Brothers, sisters and families – separated as young children – now come to meet each other with cane in hand, sitting in a wheelchair, or transported via ambulance. 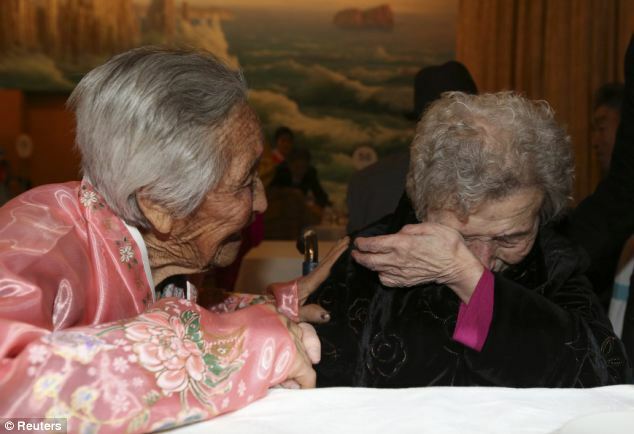 A 100-year old woman, for a reunion a few years ago, prepared to see her daughter after over half a century of separation! Her daughter was sixteen when she last saw her, and she had thought of her every day since. 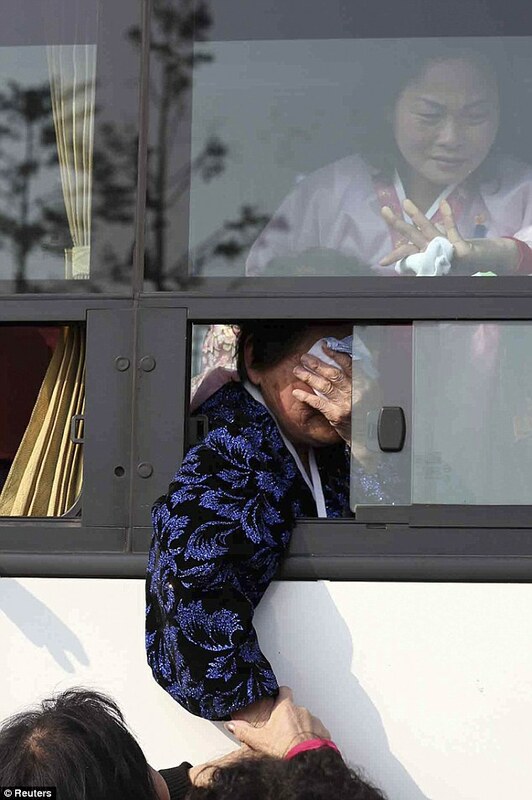 After the war (1950-1953), Korean family members were separated by the division of the peninsula. There was no peace treaty, just a ceasefire. Who knew that the separation would be a constant in their lives? They wait not just years, but full lifetimes. They continue to wait today. What joy to be back together with a loved one, for even a moment. But how deep, too, the grief over the lifetime spent without, and the continued separation of the years to follow. Reunited families separate knowing they may never see each other again. How often we take for granted and abuse the capacity to reach a loved one at the touch of a device. With technology today, it takes a split second for a message, call or video feed to reach someone you care about on the other side of the planet. We hardly realize this continuous exchange of communication and what a privilege it actually is. But do not rely on only that, not only on the connectivity infrastructure that society has built. Break it down a bit. Though we may never be subject to such harsh and extreme separation against our will, we have every reason to treasure each touch, word and moment with relative and friend. Read about this story on the news: here, here or here. Based on reports and photographs as published by BBC News and the Daily Mail.